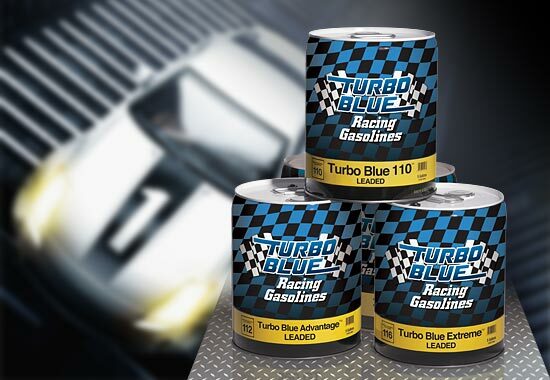 Turbo Blue Unleaded is an oxygenated, high performance racing gasoline formulated for carbureted, fuel-injected or turbocharged performance engines. It is ideal for compression ratios up to about 12:1 in conventional domestic V8s but will tolerate more compression in smaller and more efficient combustion chambers. In addition, Turbo Blue Unleaded complies with regulations governing most major race sanctioning organizations and is street-legal in 49 states. Leaded? No. Street-legal in all states except CA.